There are lots of questions about the race so here are some of the more common ones and some of the answers . How long it is the race? The race is approximately 95 miles. The route is detailed on the race information/route page. How much height to you climb? Over the course of the race you will climb 14,760ft. This is a question which gets asked many times and rightly so because having comfortable feet can make the difference between a ‘successful’ race or not. The answer is a bit harder to give though as we are all different. There are some who will wear one pair of trail shoes the whole way while others complete the race in road shoes without any trouble. Others will wear trail shoes and road shoes for different sections. Yet others will change footwear and socks regularly. The key thing is to work out on long training runs what is best for you. Don’t experiment on the race. By race day you should have a clear idea of what works for you. Another key question with as many answers as runners. The bottom line is that to run 95 miles you need to eat and drink regularly. There is some excellent advice on our training videos but the best thing to do is to experiment with what works best for you. How many checkpoints are there and what are the cut-offs? The official checkpoints with cut-offs are …. Fort William (95miles) – 35hrs 0 mins. There are also marshals at the following points ..
For the 2017 race support …. It is a condition of entry that all runners must have motorised back up for the full duration of the event. Up until Auchtertyre you need at least one crew member, and from Auchtertyre onwards you need a crew of at least two people, one of whom must be capable of accompanying you during the last two stages if required. The Support Crew must meet their runner at each Checkpoint. It is the Support Crew's responsibility to ensure your safety between Checkpoints, and they must be prepared to look for you if you do not check in at a Checkpoint. Will I be allowed a support runner? Will I be the last to finish? Someone has to be! There will be a sweeper or two at the back of the field to keep ‘slower’ runners going. If you are interested in seeing how long people take have a look at the spreadsheet of all the races which has individual tabs for all the races with a graph of finishing times. For example here is the graph for the 2011 race …. What is a ‘good’ time to finish? For some people simply to finish is enough and as long as they are inside the 35hr limit they are more than happy. Others like to challenge themselves to a finish time whether it’s sub 30hrs, sub 24hrs, sub 20hrs or better. 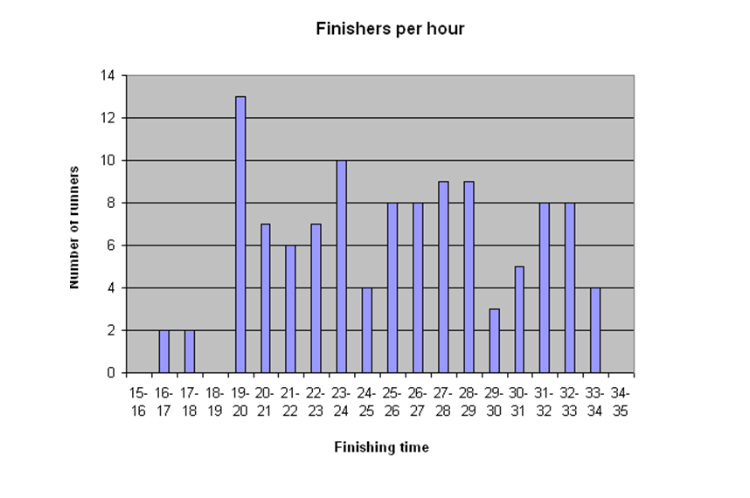 It is very interesting to compare runners’ marathon time to their whw time. As a rule of thumb if you can run a sub 3.30 marathon then sub 23hr whw should be possible. If you are nearer 3hrs for a marathon then sub 20hrs would be a good goal. How do I train to run 95miles? There are many different ways to prepare for running the whw race. Basically the key thing is to build up slowly and make sure you have lots of 'time on feet' running. The best thing to do is to talk to as many ultra runners as you can, listen to the whw podcasts and work out the best plan for you as we are all different. What kit do I need to buy? You need to be careful otherwise you’ll end up with loads of kit that you neither need or will use! But there are some basic kit that you will need. Debs Martin-Consani (3 time finisher with pb 19.37) wrote a very helpful post on her blog about kit. What is mobile reception like on the route? There is no one network that covers the whole route. Where can I stay at Milngavie and Fort William? 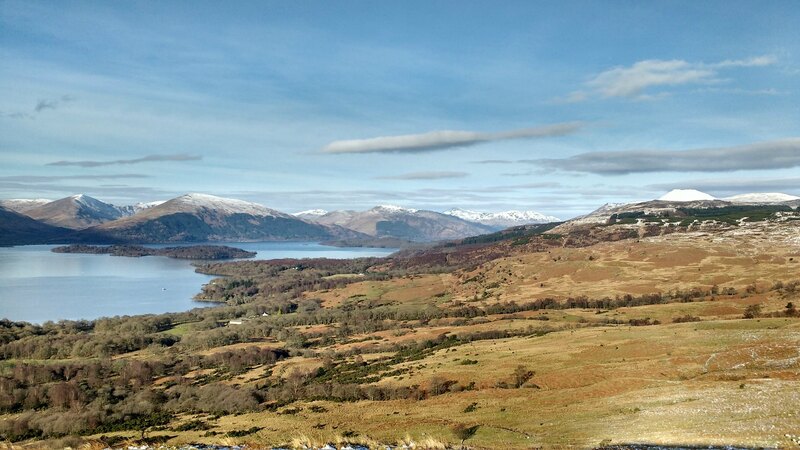 There is plenty of accommodation to suit all tastes and budgets, both around Milngavie and Fort William. The best place to start looking is the Visit Scotland iCentres. For after the race it is certainly best to stay within a few miles of the race finish. You will not want to travel any further than you have to! 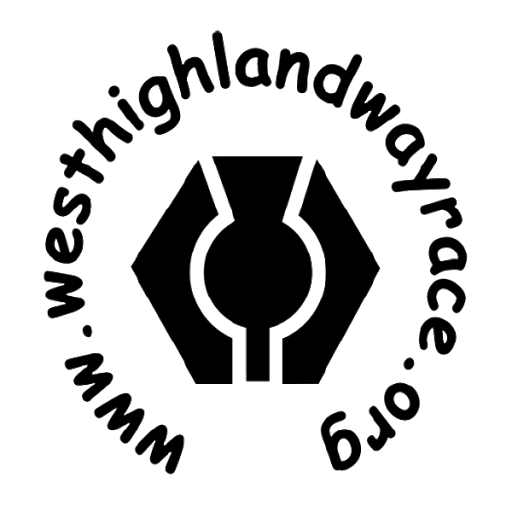 It is also worth noting that folk will finish the race at weird and wonderful hours of the night; so before confirming a booking it would be best to check that arrival at some unearthly hour is ‘okay’ with the chosen establishment. What happens at the prize giving on Sunday? 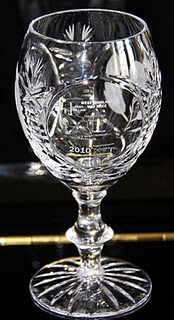 This takes place on Sunday at 12 noon and is a very special time where each and every runner is presented with their finishers goblet pictured below. We start with the winner of the race and then go right through to the final finisher. So no matter how long it took or or what place you finished you will be presented with your goblet. We would encourage you and your support team and family to make every effort to stay and take part in the prize giving. It is really is a special time.